Super day for one of my favourite kinds of shoot - documenting a project on site. Yesterday I was in my natural environment down at the docks. After 12 years at sea I'm very comfortable with hectic industrial spaces, cranes beeping, trucks whizzing about and acres of dusty concrete baking in the sun. 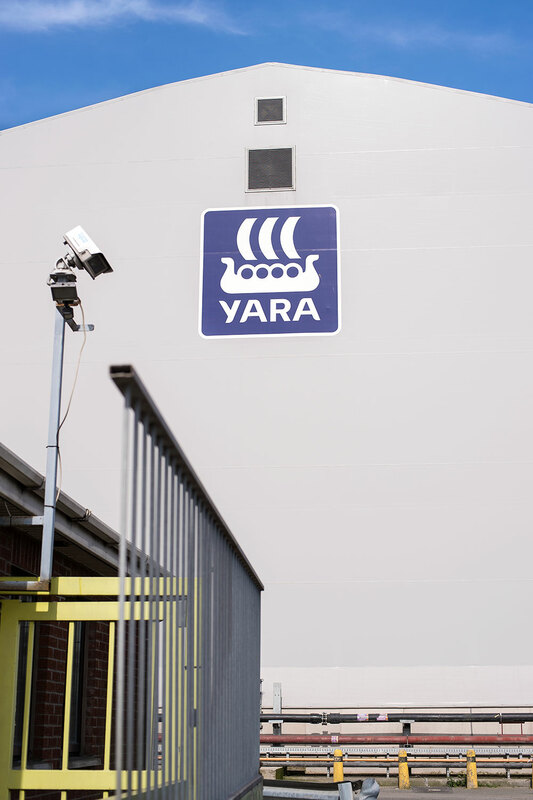 The brief was do document a new building constructed by Collinson PLC (Preston) for Yara Fertiliser Suppliers. 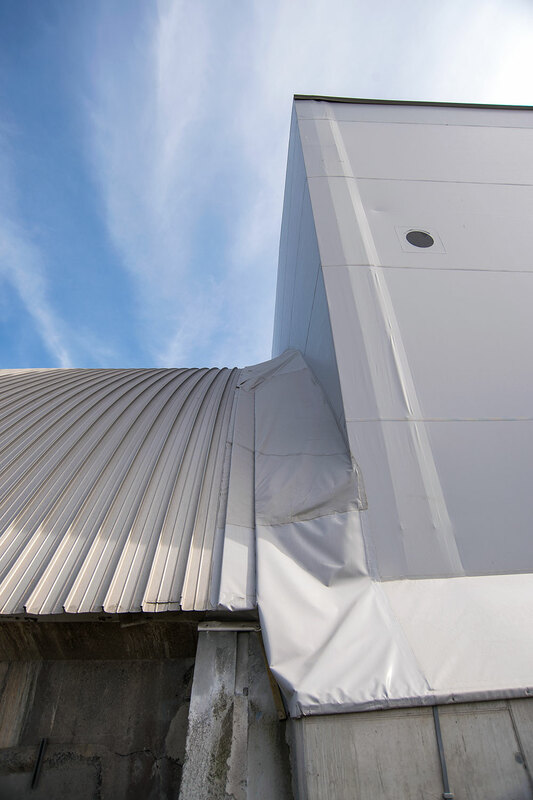 Of key interest was the membrane roof that allows sufficient working light through even with the arcs off. Hi-vis on and stationed in my safe working place I shot the action on tripod as the loads were ferried in one door and out the other. Then it was outdoors for a walk-around and exterior shots - blessed by a fantastic sky.